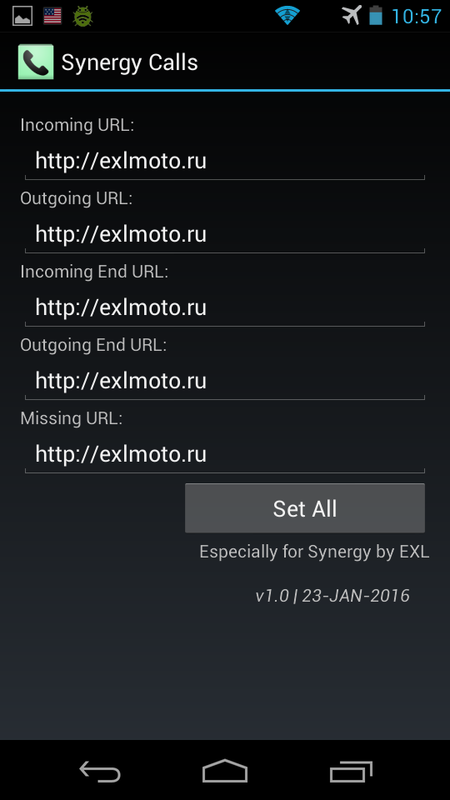 Synergy Calls is application for Android OS, which logging calls to the server through the [POST](https://en.wikipedia.org/wiki/POST_(HTTP)) request method. For getting information about calls the application uses the PhoneCallReceiver class, found on [Stack Overflow](http://stackoverflow.com/a/30521544/2467443). 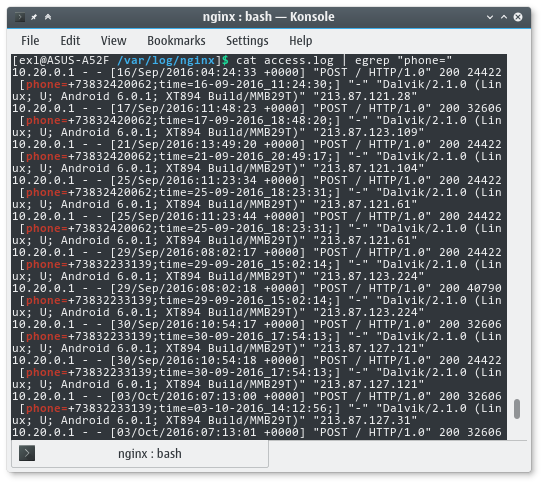 In order to Android OS does not unload the application from memory, a Service class was used. For the application to be started with the launch of the device, a BroadcastReceiver class was used. You can download APK-package for Android OS from the [releases](https://github.com/EXL/SynergyCalls/releases) section. * Created by exl on 9/12/16. editor.putString("in", (SynergySettings.in != null && !SynergySettings.in.isEmpty()) ? editor.putString("inE", (SynergySettings.inE != null && !SynergySettings.inE.isEmpty()) ? editor.putString("out", (SynergySettings.out != null && !SynergySettings.out.isEmpty()) ? editor.putString("outE", (SynergySettings.outE != null && !SynergySettings.outE.isEmpty()) ? editor.putString("miss", (SynergySettings.miss != null && !SynergySettings.miss.isEmpty()) ? // The receiver will be recreated whenever android feels like it. // We need a static variable to remember data between instantiations. private static String savedNumber; // Because the passed incoming is only valid in ringing. // We listen to two intents. // The new outgoing call only tells us of an outgoing call. // We use it to get the number. //We listen to two intents. The new outgoing call only tells us of an outgoing call. We use it to get the number. // Derived classes should override these to respond to specific events of interest. // Incoming call -- goes from IDLE to RINGING when it rings, to OFFHOOK when it's answered, to IDLE when its hung up. // Outgoing call -- goes from IDLE to OFFHOOK when it dials out, to IDLE when hung up. // No change, debounce extras. // Transition of ringing->offhook are pickups of incoming calls. Nothing done on them. // Went to idle -- this is the end of a call. What type depends on previous state(s). // Ring but no pickup -- a miss.